Home » News » It's been hot, hasn't it? While many of us have been enjoying the sunshine, long dry spells are a challenge for plants. The way in which plants control the water content in their leaves is a critical part of their response to climate change. Researchers are finding out more about the ways that plants reduce transpiration rates when their leaves dry out. The photo, taken by Charlie Koven, on the cover of New Phytologist 219:3, shows one simple strategy for reducing water loss: by curling up and avoiding direct sunlight. 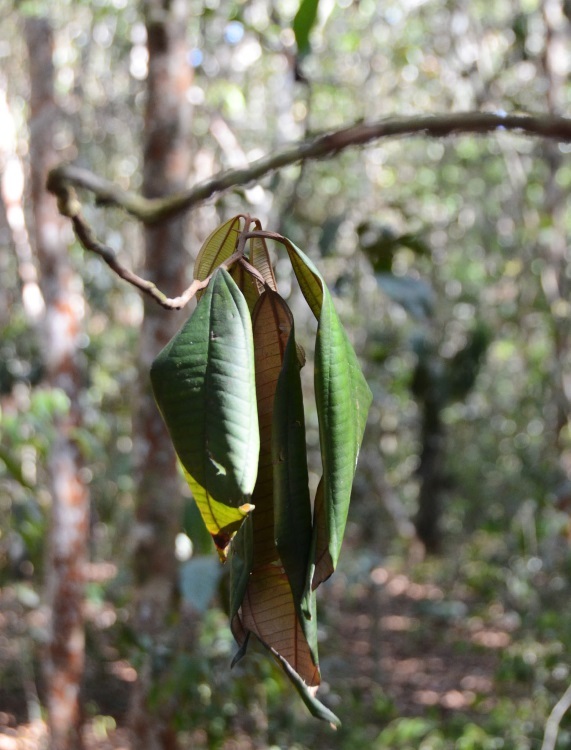 Dry leaves in the understory, ZF2 forest, Manaus, Brazil. Courtesy of Charlie Coven. Read more about the research on the New Phyt blog. Issue 219:3 of New Phytologist is a Feature issue all about the impact of drought on tropical forests. You can read the specially selected papers here.